The 8-mile loop around Mackinac Island is a spectacular destination run with unbeatable views. The best part of running on Mackinack Island: there are no cars on this island, so you can run completely traffic free! 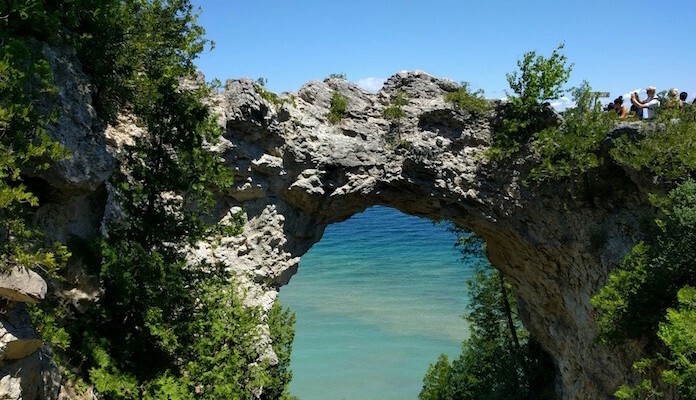 This 3.8 mile landmass in Lake Huron, known as “the jewel of the great lakes” is accessible only by air or ferry from St. Ignace and Mackinaw City. Our route departs right from the ferry terminal, and can be completed either clockwise or counter clockwise. Simply follow the 185 Road around the coastline — it’s posted with mile markers so you’ll have a good sense of your pace. Highlights along the way include Devil’s Kitchen, Sunset Rock, Arch Rock, and the historic buildings of the port area. For more, there are many interior trails on the island, some of which are more rugged and hilly. If you prefer to run with company, several races are held on Mackinac throughout the year. See runmackinac.com for a schedule of upcoming events. 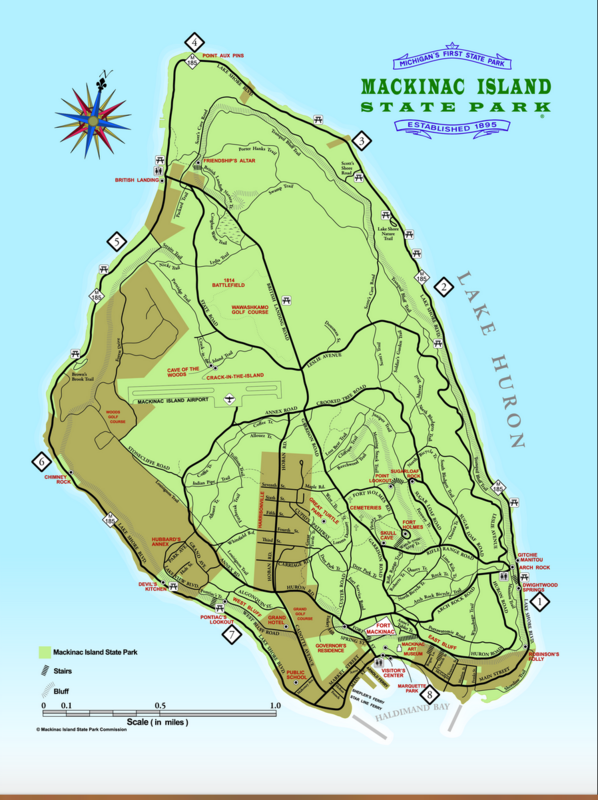 Other trail running opportunities abound in Mackinac Island State Park.